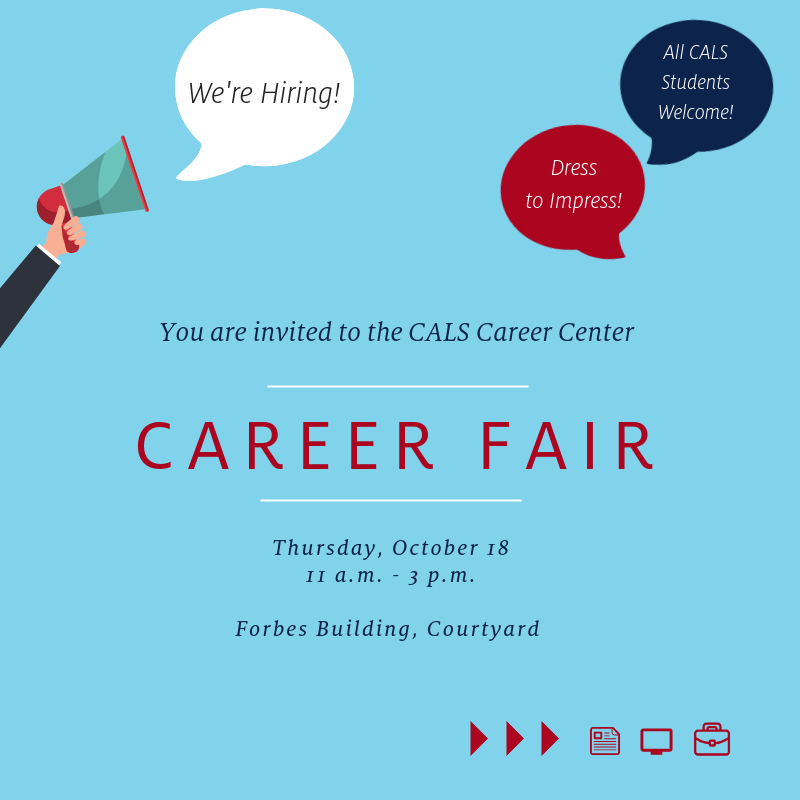 Need help perfecting your resume or cover letter before the CALS Career Fair? The CALS Career Center is here to help: visit us online, during our walk-in hours, or schedule an appointment in Handshake. Even better: Download our Student Guide to learn more about the employers, opportunities, resume tips and even professional dress suggestions! All students who attend the CALS Career Fair can sit for a professional headshot photo during the fair. This is a great opportunity to elevate your Handshake or LinkedIn profiles!